PJA Tia Maria is beautifully dressed in bright true black fleece on a solid straight frame. 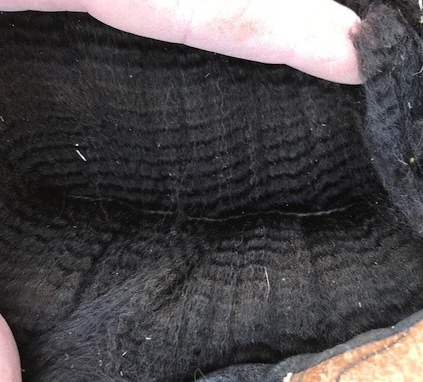 Her fleece is fine with a soft hand, lovely consistent crimp style and impressive density. A perfect package!! Look at her IMPRESSIVE show record!! 2 color champion and 2 reserve color champion banners earned in the fall shows of 2018. **Update - 2018 TxOLAN 1st Place and Color Champion!! 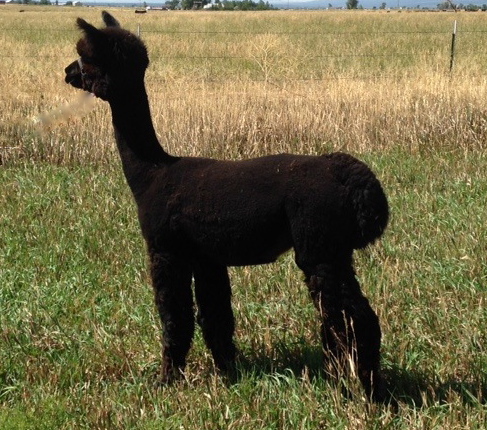 PJA Tia Maria sells with her maiden breeding and we are sure she will produce gorgeous cria. Just look at her genetic background! Her sire is NeverSummer's Manchester (he won a Color Champion banner in 2017 from his 6 1/2 year fleece) and grandsire is none other than Aussie .38 Special. And let's not overlook her dam, Crescent Moon's Tia (a Greener Pasture's Copenhagen daughter). 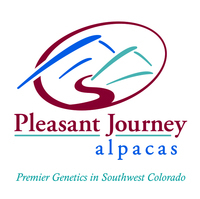 First Place Illinois Alpaca Show 2017 - Stephanie Glyptis (class of 8) - dense, fine, consistent and ONLY one in class with no white fibers! 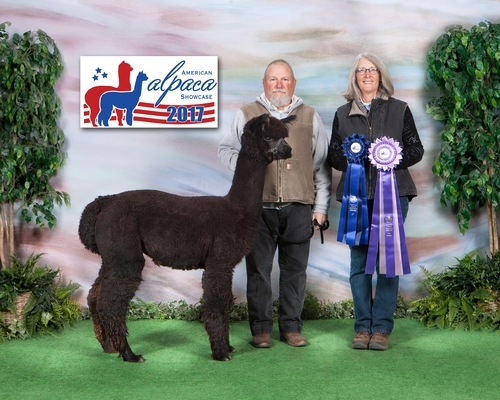 First Place 2017 A-OK Blast Off - class of 4 - Diana Timmerman- BRIGHT, BRIGHT, BRIGHT, fine, wonderful hand, dense, uniform, consistent crimp style, great bone and presence- did we mention BRIGHT. 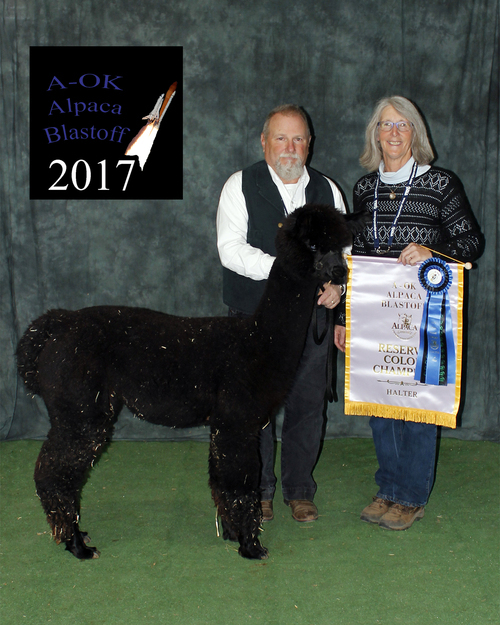 Reserve Color Champion- 2017 A-OK Blast Off Dark Females (combined blacks/browns). First Place 2017 A-OK Blast Off Breeders Best 3 (with PJA Super Sonic's X-1 and PJA Sonic's Sweet Reflection) - Diana Timmerman commented that this was the first time she has awarded 1st to a group of grey/black!